More and more entrepreneurs are using Pinterest as part of their online marketing strategy — me included! When I first started dabbling with Pinterest, I wasn’t really using it strategically in my business. I would log-in once or twice a day, try to pin some here and there, follow a few people, and call it good. This was about as effective as eating chips and queso after going to the gym… but I love queso anyway. It’s not surprising that I wasn’t seeing many results from this half-hearted attempt at using Pinterest for business. Last week, I saw a question in a Facebook group if anyone had success with using Pinterest to drive traffic to their site. Myself and several others chimed in that, YES — Pinterest has been a great way to drive traffic! 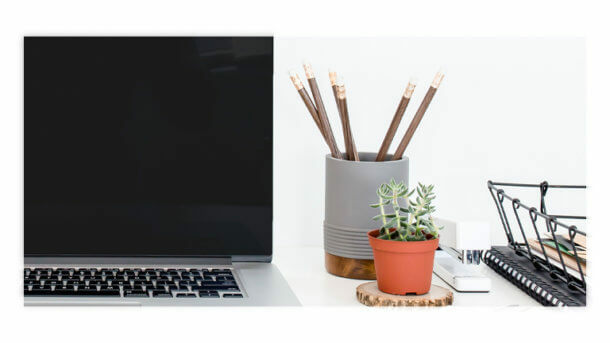 …and I can personally say, in the first three months I started strategically using Pinterest, it got me more clients, and grew my email list. You want to be sure your graphics are totally on brand, and easy to read. You might be thinking, “eh.. I’ll just slap something together, because people care about the content more!” Well, this might be true. BUT, you need the best graphic to get people to actually CLICK on your pins. People totally judge a book by it’s cover, and you are no boring reference book, my dear! Don’t overthink it when it comes to creating your blog graphics for Pinterest! Use Canva to create the graphics. Canva has templates that are the ideal Pinterest image dimensions, as well as layout templates! 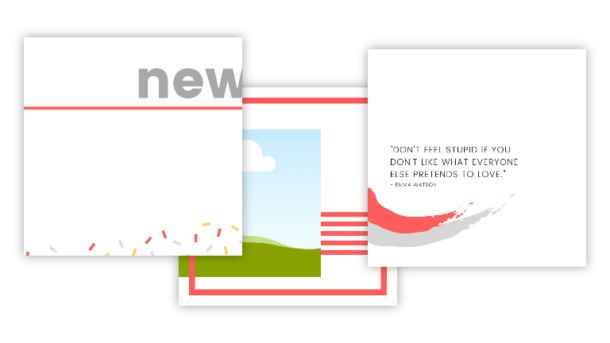 You can also make your own Canva templates, if you don’t like their templates. Using a consistent template is a great way to save yourself time. Use fonts from your branding style guide to be more cohesive. If you pay for Canva for Work, you can actually upload your brand fonts to really make your Canva graphics branded. You also want to be sure your text is large enough to read! Whether it’s the fonts, or you’re using a solid color background, your graphic doesn’t need to be a rainbow. Something else you can do is categorize your blog graphics by color. So, you could use green for breakfast recipes, red for lunch recipes, and blue for dinner recipes. If you’re using a background image, make sure it’s high-quality. Always make sure your image choice makes sense to be next to the title, and more importantly — you are ALLOWED to use it. (Meaning, you didn’t just snag it from Google Images.) You can find lots of great images on free stock photo sites like Unsplash. Put your domain on the graphic. The domain text doesn’t need to be large, and belongs at the bottom of your graphic. This is just a great way to make sure people can see where the pin is from at a glance! If you build up a reputation for great content, when people see your branded graphics and/or name, they’ll be more inclined to keep clicking on your pins more and more! There are a ton of options for scheduling social media posts on Twitter and Facebook, but there are a limited number of options for scheduling pins on Pinterest. Tailwind (aff. link) is one of the more popular scheduling programs out there right now, but I was hesitant to pay for a second scheduler. With Tailwind, you can schedule one pin to several boards with just a few clicks — and you can set these to pin at an interval, so the pin can hit the different boards on different days. You can also easily pin to group boards — which is an easy way to get your pins in front of more people. One of the best parts of Tailwind is seeing all of the analytics of your pins — which ones get the most pins, comments, etc. >> If you want to try Tailwind and get a free month, here’s my affiliate link! But, pinning alone won’t drive sales and fill your inbox with clients. Pinterest isn’t that magical, unfortunately (unless you have magical minions, in which case, please send them my way). 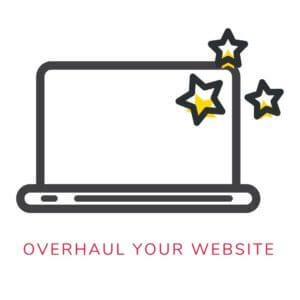 Optimizing your content and your site are what will help you get more clients, and more email sign-ups! I know, I know… you probably hear this advice all of the time. But, that’s because it works. The clients who found me via Pinterest weren’t clicking on my pins because they had pictures of cute puppies (though maybe I should try that? ), but because it was relevant to their struggles. People like to connect with other people. They want to put a face + name to the blog. 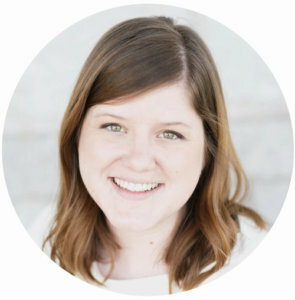 If you’re a fan of blog sidebars, you can just simply add a headshot like I have in mine. If you’re Team No Sidebar, then just add an author bio box at the end of your posts! A Start Here page is similar to an About page, but could have links to some of your most popular content, more info on you, and how people can connect with you. Some people love having a Start Here page on their website, and some don’t. I had one on my site for several months, and my analytics showed that very few people were visiting it, so I took it down. Create a rabbit trail of content around your site by linking similar content to each other. You could do a “Related Posts” at the bottom of each post, a blog archive page, or list them in your sidebar (also like I do). When readers see more and more posts that they love, they’re more likely to subscribe! Blogs are great — they provide value, they help drive traffic, but will a blog post alone get you clients? I think it depends on the post, and the person, honestly. That’s why you should set yourself up a really good sales page with testimonials, packages, prices and availability. And, as always, make it easy for people to contact you! Great nuggets, I appreaciate your guidance. I just downloaded the Tailwind app to my hootsuite I’m going to give it a trial run. I am not that experienced using social media. Blogging or have a website. I have been an educator in interior design have have a lot of knowledge and information to share with people but want to start small and make it simple. I would like to know how you could help me get started. I seem to like Pinterest the most out of all the social media sites. I haven’t the slightest idea on how to use Pinterest as a business. I know how to pin and that is all. I would like to learn how to post, make landing pages and add affiliate links to blogs. Who can help me with this? I’m totally going to take in all of this and (hopefully) put it to good use! Thanks so much for this post! Thank you Jess for this post, very helpful!! I’m in this situation, where working on getting more clients through Pinterest.. can’t wait to try a few things you described!